Time for a mindset reset! Dr. Nathaniel Fogel was born and raised in Queens, NY, one of four children. Blessed with a love of tinkering, a knack for repairs, a flair for the sciences, and a sociable personality, he attended dental school at University of Maryland, graduated in 2012, and completed an advanced education in general dentistry (AEGD) in 2013. He is associated with the Maryland State Dental Association, Howard County Dental Association, American Dental Association, and Maimonides Dental Study Club. 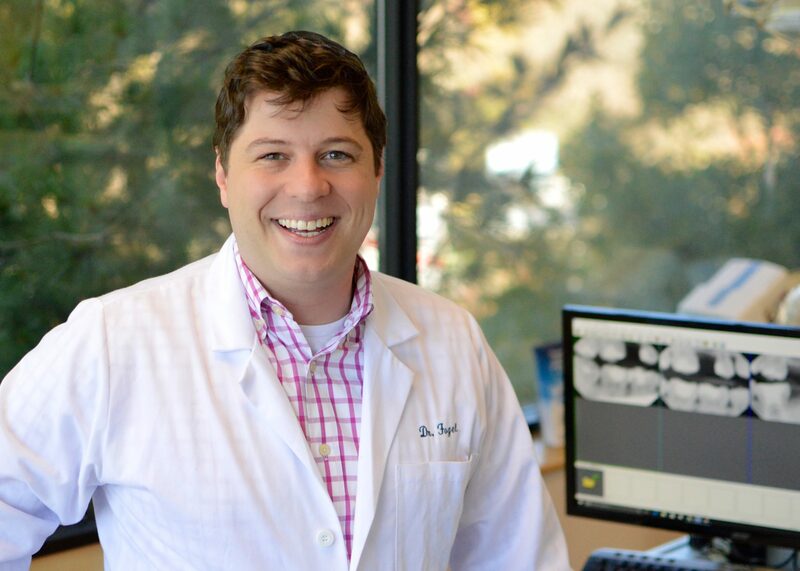 After working in various family and cosmetic dentistry offices in the Baltimore vicinity, Dr. Fogel decided to open his own practice in 2016. He enthusiastically cares for patients of all ages with his trademark passion, precision, and pleasant demeanor. Dr. Fogel lives in Baltimore with his wife Ayelet and their children, Daniella and Tamir. When he’s out of the office, he pursues several other pastimes. He bakes his own artisanal bread with a true doctor’s appreciation for the scientific aspect of cooking, roots for the Islanders and Jets, and enjoys riding his bike; he’s participated in several long-distance rides for charity. Taneka joined our practice after graduating from All-State Career in Baltimore. 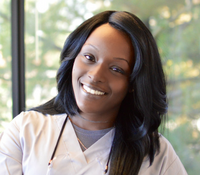 She’s been in the dental industry for eight years and has been with our practice for over three of those years. 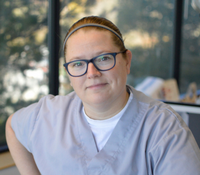 As the dental assistant, it’s her job to assist Dr. Fogel with anything that he needs for patient treatment – from setting up the rooms to taking x-rays to sterilization of instruments. She loves the fact that she gets to meet and converse with people from all walks of life and that her presence is comforting when they’re receiving treatment. She also loves working with our awesome, eclectic (her word!) staff. Nicki has been working in the dental industry for over 15 years, previously working with Dr. Whitaker before joining Dr. Fogel. You’ll find her overseeing all patient communications, insurance coordination, engaging folks on social media, answering the phones, and doing all of the other things that make the office run like a well-oiled machine. She loves meeting new patients, and also loves working with a team that embraces technology so well in order to make the patients’ experiences as easy and seamless as possible.